Lebanese's migration has long been a tradition, whose ascendants, the Phoenicians traveled extensively around the Mediterranean establishing trading posts and , by some accounts, beat Christopher Columbus and the Vikings to the Americas by almost 2,000 years. Lebanon, with an estimated figure of 15 million citizens living abroad for an inside population of 4 million, is one of rare countries to have more citizens living in Diaspora; this represents a great Lebanese national loss. Many Lebanese, who left during civil war, came back home during 199s. Usual Lebanese pattern, of sending your wife and kids to Lebanon while you were abroad, started anew. Lebanon's history, culture, and hospitality have always made it one of most treasured vacation destinations in the Middle East. REV decided that it is that it is time to communicate and build bridges with our other Lebanese Diaspora-wing. REV Diaspora Summer Camping offers each year, for a period of five weeks, Lebanese Diaspora Boy-Campers, to visit and get to learn Lebanon. Concentration mainly on: Arabic language, Lebanon's history and future aspirations. - REV's 3 500 sq. m well equipped camping grounds, in heart of REV's 72 000 sq. 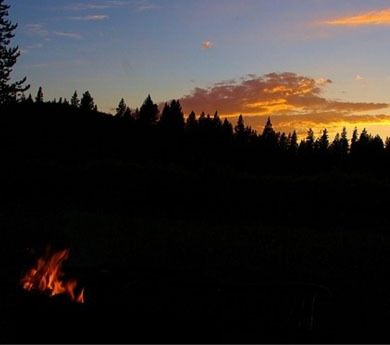 m. breathtaking open-sky natural environment, can accommodate over 250 campers. Among other facilities, equipment and activities are included: Twenty four hours electricity, ample supply of drinking and utility water, toilets - 4 separate showers and 4 separate Rest-Rooms, Karate lessons, Hiking, Peddle boats, Bike-riding, Roller-Skating, Badminton, Football, Volleyball, etc.